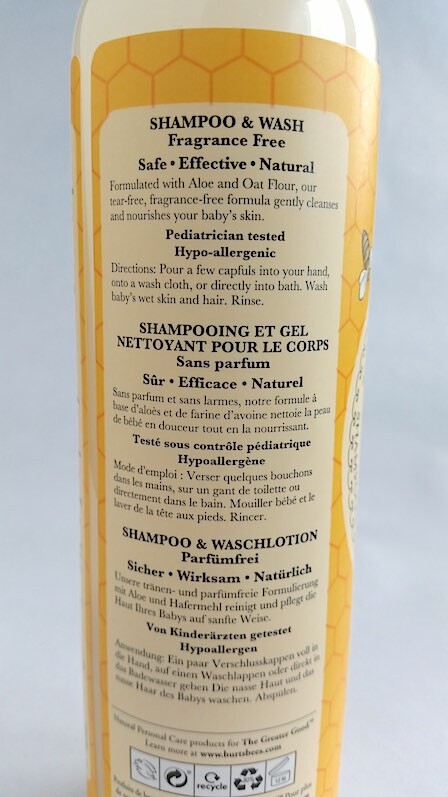 Burt’s Bees Baby Bee Fragrance Free Shampoo & Wash is a natural, tear-free, hypo-allergenic and non-irritating wash for babies that contains aloe and oat flour. It is gentle on the skin and is free of SLS, parabens, phthalates and petrolatum. It is also paediatrician tested and approved. 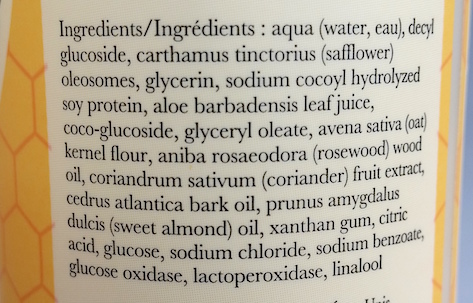 Overall it is 99.9% natural and Burt’s Bees describe it as being “just one step to a fuss-free, fragrance-free bath." Naturally, anything that grabs at you for being “fuss-free” but also great for the skin when it comes to little ones is going to catch your attention as a parent. Being parents to both a newborn and a toddler with eczema, myself and my boyfriend are quite picky in regards to what goes onto their hair and skin, but we decided that we would give this wash a try to compare to others that we have tried out (see my reviews for Childs Farm Caked in Mud Hair and Body Wash and Emu Oil Well Baby Wash and Body Lotion). 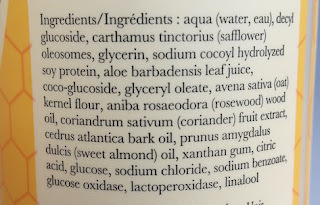 Admittedly, we primarily use it as shampoo as we are currently using a prescribed skincare product to help with eczema, but we have given this a go on the skin too. 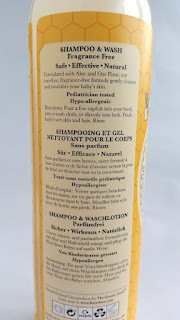 It comes packaged in a clear bottle that holds 235ml of product and that has a bright yellow sticker wrapped around it that contains the product information. The wash itself is creamy and slightly watery in consistency and is off-white in colour. To use, Burt’s Bees say that you can either add a few capfuls of product to bath water or apply a few capfuls into the hands or onto a sponge/wash cloth and gently cleanse the skin. 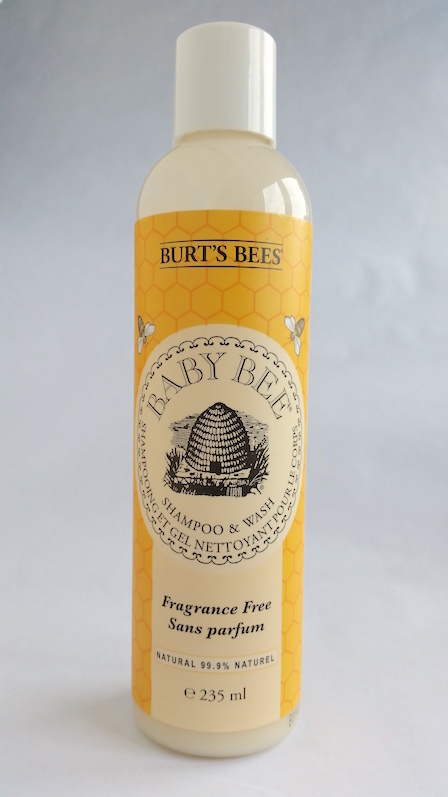 The Baby Bee Fragrance Free Shampoo & Wash doesn’t lather up as much as other products. This means that you may need to use more than you would otherwise, particularly on the skin. On the hair, it does lather up a bit better. In all honesty though, this isn’t too much of an issue when you consider the fact that a baby is only tiny and therefore doesn’t need a tremendous amount of product, but it does still mean that you will go through it faster than something that does lather up more. In my experience, if you decide to add the wash to the bath, it doesn’t bubble up into a froth. Instead, it makes the bath water slightly milky. Either method of use works though and has the same results - it leaves the skin feeling smooth and clean and the hair feeling soft and shiny. Whilst it is fragrance free, this doesn’t mean that it doesn’t have any scent to it at all. The smell is rather fresh, clean and creamy (can something smell creamy? In my head this makes some sort of sense but maybe not so much now I’ve typed it out), but it is also subtle. You can smell it in your little one’s hair though throughout the day, and since we have been using this I keep finding myself smelling my children’s hair occasionally (which is totally not weird)! It is easy to rinse, which is incredibly helpful when it comes to kids. It also hold steady on its tear-free claim too. Our little man sometimes doesn’t like to keep his head too still as he’s having his hair rinsed (or he washes himself and proceeds to rub soap into his eyes), and he once managed to get a little bit of the Baby Bee Shampoo & Wash into his eye. It didn’t bother him, which is fantastic, but if it does happen to you then it does still obviously need to be washed out with water! My only problem with the Baby Bee Shampoo & Wash is that you fly through it so quickly. I can imagine some people becoming annoyed by this as at £7.99 a bottle it’s preferable not to have to buy it every few days. However, I do have two little ones who are using this, one being a pre-schooler and therefore needing to use more than my one-month-old. Overall though, I think that this Shampoo & Wash is great! It’s gentle and doesn’t irritate eczema or dry out the skin. As a shampoo it keeps the hair looking clean, soft and fresh and thanks to it being 99.9% natural you can use it without worrying about harmful chemicals. If you are on the hunt for a new baby wash and shampoo, this one is well worth a try! You can buy a bottle of Burt’s Bees Baby Bee Fragrance Free Shampoo & Wash for £7.99/235ml from Burt’s Bees. What are your thoughts on Burt's Bees Baby Bee Fragrance Free Shampoo & Wash? What are your favourite baby shampoos and washes?